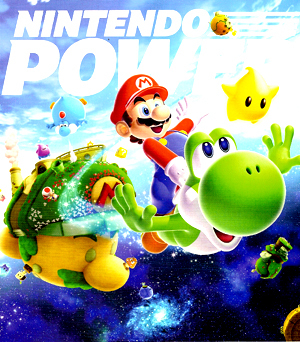 I’m happy to report my work for Nintendo Power continues on at a steady pace, and the May 2010 issue has both a review and a full page community piece. On Page 85. be sure to check out my write-up of Beat City for DS. It’s one hell of a catchy and colorful little rhythm game. Very funky, and I had a blast with it. Also, on pg. 94 you’ll find a full page community feature on an incredible DIY Ghostbusters peripheral for the Wii made by Jack Rossi. Great stuff. I’m working on a bunch of stuff for upcoming issues, including an awesome feature on the Minibosses and my first retro game write-up. Stay tuned for the goods! This entry was posted in Nintendo Power and tagged awesome, beat city, Community feature, freelance, ghostbusters wii peripheral, issue, May 2010, minibosses, nintendo, Nintendo Power, Review, writing by nmeunier. Bookmark the permalink.